DETAILS: "Pura Vida" is a stunning 6 bedroom/4 bathroom home situated on a corner lot in Rosemary Beach. Located South of 30A, "Pura Vida" is just steps to the Coquina Pool and two blocks from the gorgeous Gulf of Mexico. The first floor offers an open living room, dining room, and gourmet kitchen complete with lovely neutral furnishings. Guests will also find a Master Suite located on the first floor. The second floor holds a second master suite, a guest bedroom and a children’s bunk room with a set of bunks. The beautiful, newly constructed carriage house is perfect for a small family, offering a cozy living space with a queen sleeper sofa, eat in kitchen, guest bedroom and bunk room. Guests are sure to have a fabulous time staying a "Pura Vida." When guests are ready to explore the area, hop on one of the 6 bikes to check out the Rosemary Beach Town Center filled with boutiques and great dining options! Check availability and book with 360 Blue today! Pura Vida was the perfect beach house for our spring break! Mere seconds to a playground, short minute walk to the beach and green spaces, and an easy walk to shops and restaurants. We can’t wait to go back! We are so delighted that you enjoyed your stay with us in Rosemary Beach at this unbelievable home! The location is perfect to be able to enjoy the community without having to get in and out of a car! Thank you for staying with 360 Blue, we hope to see you all again soon! We came to Rosemary by way of Callaway Gardens. We were chased away for a week long stay at Callaway due to the tornados that struck that area. We were very lucky to find this beautiful home and complete our week vacation. The house is beautiful and an easy walk to beach. My 80 year old parents along with my children and grandchildren had a great time. The weather was a little cold but sunshine everyday. We enjoyed spring activities offered in the town square and green spaces. The kids enjoyed face painting, a play, magic show, and karaoke. We are so glad that you all enjoyed your stay with us in the wonderful community of Rosemary at this spectacular home! Thank you for staying with 360 Blue, we hope to see you again soon! Family holiday gathering. 8 adults and 5 kids plus 2 infants. House was big enough for everyone to have adequate space. Lots of covered porches. It rained most of the week so we didn’t get to enjoy the pool area very often but it’s a nice space with outdoor dining. Kitchen and living area is a bit tight for such a large family and there is NO room for dry food storage. Thankfully we had the carriage house for an extra refrigerator. Overall great house. Quick walk to beach and the town square. We are so glad that you and your family enjoyed your holiday getaway with us in Rosemary beach! We are very hopeful that next time you all are able to join us that the weather will be more favorable so you all can enjoy the beautiful outdoor space more. Thank you for staying with 360 Blue, we hope to see you again soon! Lovely home and beautiful community! We had a wonderful visit to your lovely home. Everything was perfect!!! We are so pleased that you had a great time with us in Rosemary Beach! We agree that this home is a wonderful option for a fun and relaxing vacation. We hope to see you there again soon! Our family had a great time! We have stayed in many other homes in the past but we all agreed this one was the best! We are so pleased to hear how much you enjoyed your time in Rosemary Beach! We agree this home is a wonderful option for vacation. We hope to see you again at "Pura Vida!" We had a wonderful family week! Loved the house, pool, and location. We would love to return! We are thrilled that you enjoyed your stay in this amazing home! We hope to see you back at the beach soon! Brad from Iowa. This is a great place. Family look bed it. Staff and concierge services better than Ritz Carlton. We are so happy that your family enjoyed your stay in this amazing home. We are honored by your kind words. We hope to see you back soon! 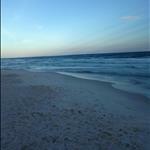 We had a great weekend in Rosemary Beach at Pura Vida. The house was exactly what we needed for a girls getaway. We had eight adults and there was plenty of room. Beach access was very convenient, as was the walk/bike ride to shops and restaurants. We'd love to be back! What a beautiful group photo! We are delighted to hear you enjoyed your stay with us in Rosemary Beach! The house really is perfect for group getaways! Thank you so much for choosing 360 Blue and for taking the time to share your experience with us. We hope you'll be back to see us again soon! Exceeded expectations. Management company was great. We will be back. Looks like it was a beautiful day to be outside and enjoy the neighborhood! We are so happy you had such a great stay and that everything had exceeded your expectations! Thank you for staying with 360 Blue and we can't wait to have you back again soon! Beautiful location and beach. Very convenient and bicycling was enjoyed by teens and tweens. Hose could use a thorough cleaning as mold in bathrooms and very bad around kitchen sink. Undercounter dishwasher needs to be secured along with display on microwave. 360 Blue did an awesome job being sure our every need was met. What a great family photo! We are so happy you had such a wonderful vacation in Rosemary Beach! Thank you for your valuable feedback on the bathrooms and dishwasher. We have notified the property manager of those issues to address and get resolved. Thank you so much for staying with 360 Blue and be sure to visit us again soon! We had a wonderful week with all members of the family together. We enjoyed the fabulous beach and the pool at the house was the kids favorite place. This photo practically oozes relaxation! We are happy to hear that your family enjoyed your stay with us in Rosemary Beach, and could take advantage of making memories in the private pool! We appreciate you choosing 360 Blue for your beach vacation, and for taking a moment to share your experience with us! We hope to see you all back at the beach soon! Beautiful house & carriage house! The pool was perfect after spending the day at the beach. We stayed in the carriage house and was great to have our own space. My only complaints were that there was no door to the bunk room & the bedroom was so bright in the morning; needs curtains or shutters on the patio door. Thank you so much for the valuable feedback. We are passing it along to the homeowner so that they can decide on changes. We are thrilled that you enjoyed your stay and we hope to see you back at the beach soon! House was conveniently located close to beach and community pool. House also has a small pool that is great for kids or just a quick dip. We just left and I miss it already. What a great photo! You truly captured the beautiful emerald waters! We are so happy you enjoyed the home, and got to take advantage of the close access to the pool and beach! Thank you for choosing 360 Blue for your beach escape. We hope to see you back on the beach soon! What a beautiful photo! Sounds like you all had the most amazing time in this beautiful home. It is such a perfect place for a relaxing beach getaway. We loved having you with us and hope to see you back soon! We are so thrilled that you had such a wonderful holiday getaway! This beautiful home has everything you need for the perfect stay. We loved having you here and hope to see you back soon! We had a great stay on the Gulf Coast and Pura Vida. 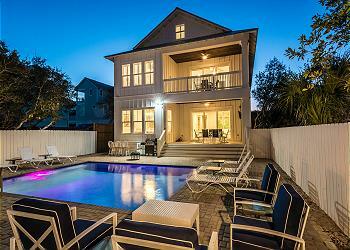 Fantastic house and guest house located in the best area of Rosemary Beach. We walked everywhere and enjoyed the accessibility of all without driving. Can't wait to get back ! What an amazing photo! We are thrilled you had such a wonderful stay in Rosemary Beach! Thank you for choosing 360 Blue and we hope to have you back again soon! Blue 360 management was superior. We had a last minute issue with a different rental company and they were able to get us into 174 Round Rd within 2 hours and stayed late after hours to get the contract and property ready. The property was beautiful and the Rosemary Beach amenities and proximity to the beach and Main Street were awesome. Made the vacation. The discounts for last minute booking were appropriate, but the deep cleaning of the house seemed lacking. The fans had significant build up of dust and the Windows didn't sparkle. If we had booked for a week at these rates we would have expected a pristine look. Given our last minute and the nature of being out and about on the town and at the beach it was great. Oh. One more thing. The cooking utensils and flatware could be updated a bit. Don't have some of the basics to entertain or cook inside. Like a pizza cutter for those late night snacks. Thanks Kaitlyn and Whitney for getting us in here. Made the week for us! Thank you so much for your great feedback. We are so happy that we were able to help your family have a great week here on the Emerald Coast. We will make sure the property manager is aware of the issues that you noticed so that they can be remedied. We hope to have you all back soon! We love Rosemary Beach, and have brought our family here often over the past 10 years...we have stayed at several different properties, but this was our first time at 174 Round Road. Our family enjoyed the little pool, especially the grandchildren. My husband and I brought 2 of our children, their spouses, and children on this trip...with 3 grandchildren and 6 adults, the bedrooms provided everyone with enough privacy. The kitchen was much smaller than I had anticipated...(we LOVE to cook in the evenings...especially with all the fresh seafood readily available) and that made meal prep a little chaotic, but we managed. We enjoyed the close proximity to the beach, and appreciated the bikes. We always rent bikes, so having them already on site for the adults was nice! It was nice having two king sized beds in the house, too. We love coming to Rosemary, and are content to put away the car keys and just walk and bike everywhere. Such a beautiful photo! This home truly is amazing with everything that a family could need. We are so happy to hear that your family enjoyed it so much. We hope to have you all back soon! Beautiful home and Carriage house. Easy walk to beach. My first time to Rosemary and it is definitely a charming place to visit. Only negatives to the home is the pool is smaller than appears in pictures, and the kitchen is pretty small. 360 Blue Properties were very attentive and helpful with any requests and information that we had. Would definitely return to Rosemary Beach and Pura Vida home. We are so pleased you enjoyed your stay in the popular Rosemary Beach area. We hope to host your next vacation soon! We had a family vacation with 7 adults and 4 littles. We loved our stay at Pura Vida! We walked everywhere and didn't move our car once after we arrived. It was amazing! What a precious photo!! Thank you for choosing 360 Blue, we hope to have you all back! Thank you to the staff for making our unfortunate situation turn into a wonderful one!! You went above and beyond to help us! 174 Round Road was perfect and we'd do it again!! We will recommend 360 Properties to others and we'll be calling soon for our next booking!!! Thank you so much!! Ms Byrd I am so happy to hear that! Your family was a true delight to have with us.174 Round Road is an amazing property. We can't wait to have you back with us!